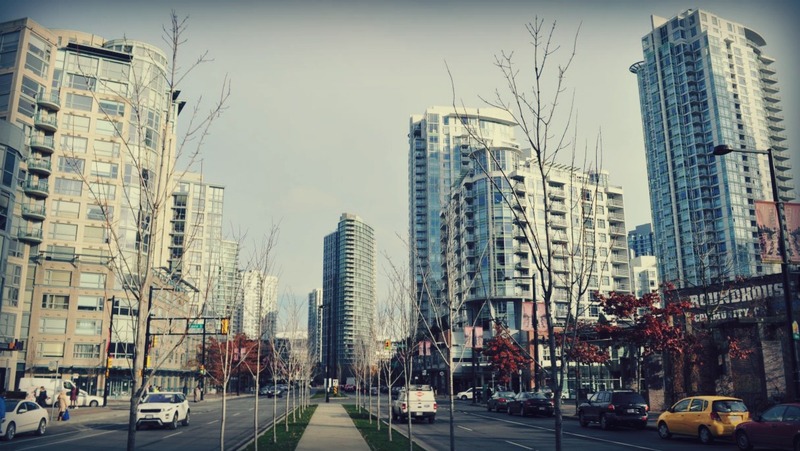 Within Metro Vancouver, the highest median family income, in North Vancouver District, is 50 per cent higher than in Richmond, which has the lowest family and individual incomes and the biggest low-income population (“federal Low-income measure, after tax”). Readers may be surprised by the high median incomes in no-prestige suburbs such as Pitt Meadow and Maple Ridge. These high median incomes are related, in my view, to the prevalence of professionals, managers and two-income public sector families (a police officer married to a nurse) in those communities. Every high-income district has low-income people, reflecting (in part) the presence of seniors living on public pensions. This is especially noticeable in affluent West Vancouver, which has a high number of seniors. Incomes are not related to home prices. East Vancouver has a high incidence of poverty (as shown for example in the 2014 Child Poverty Report Card) but much higher housing costs than Langley Township or Maple Ridge. 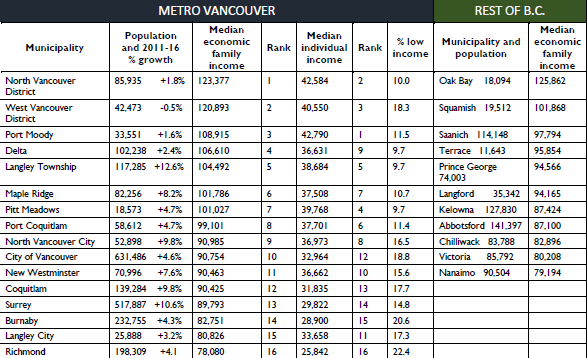 Incomes outside Metro Vancouver are perhaps slightly lower than in the big city, but not drastically. Terrace and Prince George, for example, have struggled for decades with forest-sector job losses, but obviously benefit from the presence of colleges, hospitals and provincial government offices. Incomes reported in the above table are from 2015.